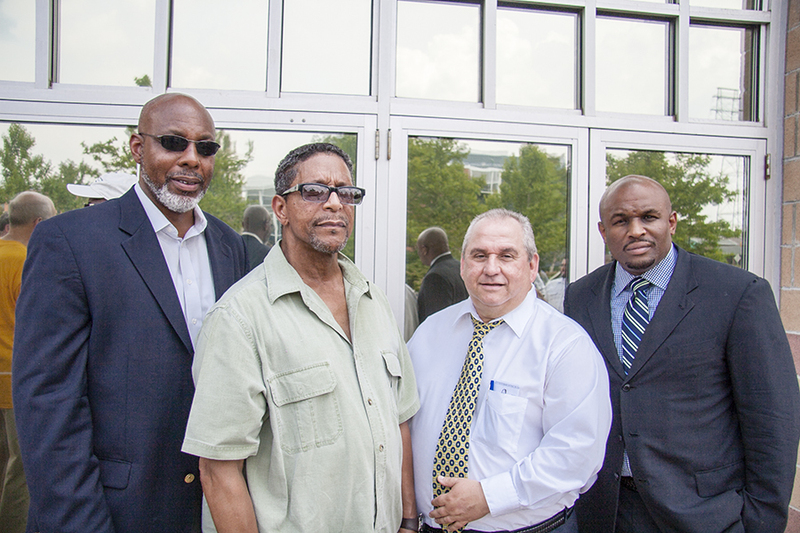 On July 17th Senator Jim Ferlo and faith leaders joined UPMC shuttle drivers to deliver a clear message that the community will not tolerate UPMC’s recent firing of shuttle driver Al Turner and crackdown on workers’ speaking out for a better life and a voice on the job. The workers and their supporters took a delegation directly to Bart Wyss, Turner’s supervisor, to demand his immediate reinstatement. Today Senator Ferlo wrote a letter to the UPMC drivers in support of their co-worker, Al Turner. I was impressed to learn that a strong majority of the drivers in your department signed a letter supporting Al Turner and demanding that Al be brought back to work. On July 17th, along with Al’s pastor Reverend Lyde, several UPMC employees, and a group of community allies, I participated in the delivery of that letter to your supervisor, Bart Wyss. We were all there to support Al because, like you, we know that he is a decent man and a good worker. Simply put, we believe that Al was fired for trying to form a union and make improvements at UPMC. Al is speaking up because he believes that all UPMC workers deserve to be treated with respect and dignity. Instead of respecting his rights, Mr. Wyss and UPMC retaliated against him by taking away his livelihood. I am becoming increasingly concerned about the reports of worker intimidation at UPMC and your department in particular. The National Labor Relations Board accused the shuttle driver management of illegal threats, surveillance, and trying to stop drivers from talking about forming a union. The unfair firing of Al is part of a pattern of intimidation. Each of you plays an important role in making UPMC the successful institution that it is. The bottom line is that you deserve to be paid a fair wage, to work with dignity, and to have a voice on the job. I congratulate you for standing with Al and standing up for your rights. Generations of workers in western Pennsylvania uniting to improve their working conditions built the middle class in this region. 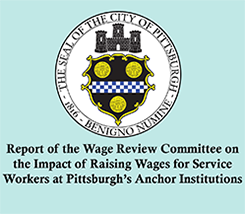 Pittsburgh’s economy has changed but my unwavering commitment to workers rights has not. I promise to be there with you at every step of your struggle and will continue to work with other elected and community leaders to monitor UPMC’s conduct closely. If you have any information about UPMC management staff violating Federal labor law or otherwise interfering with your rights, please write or call my office immediately at412-621-3006. 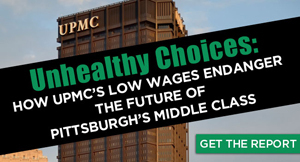 UPMC workers won $15, and we’re not stopping! UPMC worker Lou Berry is heading to The White House!